How Much does a Marriage Officiant Cost in Surfers Paradise? Furthermore, what’s the average cost of a wedding officiant in Surfers Paradise? Perhaps, you have landed on this page as a result of a search for wedding officiant cost, or marriage officiant fees. Or maybe wedding officiant price, cost of marriage officiant. Or maybe for cost of wedding officiant, wedding officiant fees or similar search queries. Seems like these are reasonable questions for any upcoming wedding. The cost of marriage officiant is an important component in your forthcoming wedding. Naturally, wedding officiant costs are included in your overall budget. Marriage Officiant cost Surfers Paradise – If you’ve been searching Google to find out how much is a marriage officiant, here’s the answer. A wedding officiant in Australia is not bound to charge any particular price. He or she can charge any figure. Therefore a marriage officiant prices can vary wildly. Some charge over $1000 to conduct a wedding! A more common marriage officiant cost (Surfers Paradise) holds around the $500 to $800 mark. 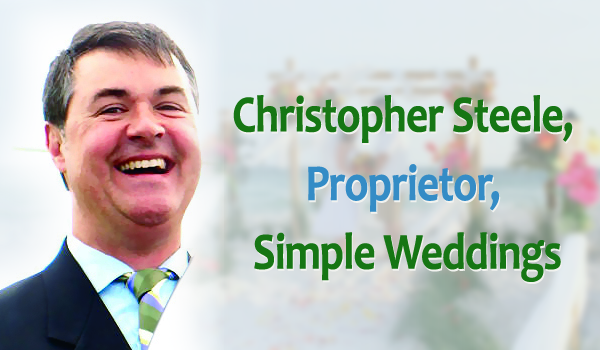 Of course if you’re asking how much is a Surfers Paradise wedding officiant who simply conducts a prompt, simple wedding ceremony, then you should contact Simple Weddings. Simple Weddings conducts Wednesday weddings for just $199 at their Surfers Paradise “Hi Surf Resort”. Which is a lot less than everyone else. It’s certainly the best Marriage officiant cost Surfers Paradise wide. Have you been looking for a simpler way to get married? By now you can tell that Simple Weddings provides a better service. A service which is easier, faster and less expensive than any other.